Oh, no! Just like me two years ago in late spring. 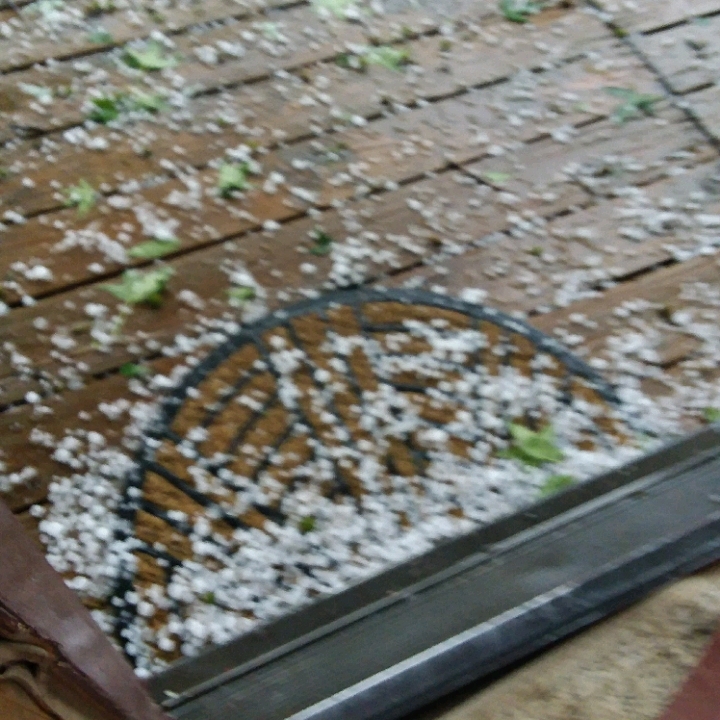 I got piles of hail, damaged some plants but they recovered. Made some crops late. But was not a disaster. It looked like it had snowed! It damaged crops at the local organic farm, too. My friend, who lives down there said it sounded like a jet plane landing right beside her house. It also stripped the leaves off the trees at Old Flame's place.